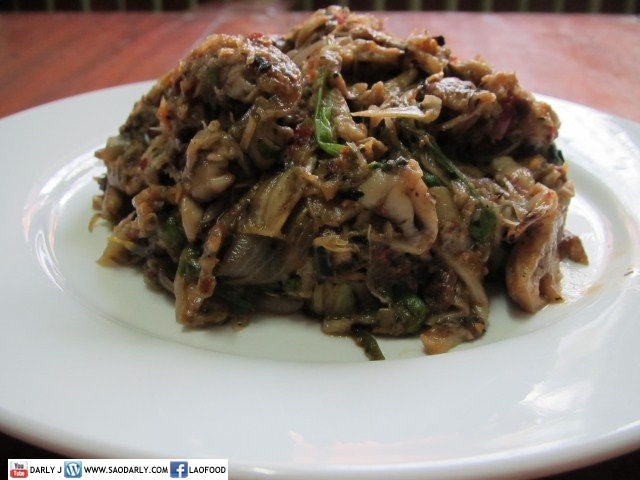 Breakfast in Vientiane, Laos with Jeun Pa (Fried Fish) and Jeow Hed (Mushroom Chutney). Since my cousin, Khek had a day off from work, it was her turn to cook for the family. 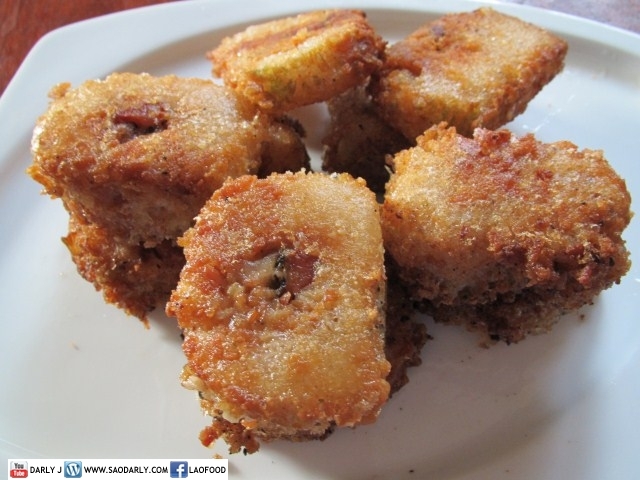 The other three cousins are fond of this type of fried fish and the aunts like to eat the spicy mushroom chutney. There was plenty of freshly made sticky rice to accompany Jeun Pa and Jeow Hed. It was a nice breakfast to please everyone.